The team can’t wait to take the next exciting step in their Fastnet adventure. Over the coming weekend 12 – 14 April, the MBA Fastnet team is off to Portugal to sail the Volvo 60 in the bay of Portimão. With a forecast of 17 °C and winds around 12 knots we are expecting perfect conditions for our first training on the ocean racer. Since the Volvo 60 is a highly sophisticated racing boat and considering it is the team’s first experience on such a racing yacht it will take some time to get acquainted with all the special features and high-tech equipment before we hit the water. Ultimately the moment we all are looking forward to most is our first experience of the boats performance out on the water – and our performance in handling the Volvo 60 and its 500 m² of sail surface. Bearing in mind the forces and loads we will be dealing with our initial state of exhilaration will most likely move quickly to a state of serious muscle ache. This weekend will be intense and the MBA Fastnet team needs to get up to speed very fast, since this is the only “inshore” training on the Volvo 60 before having the pleasure of sailing the Volvo 60 in the conditions it was built for on our 1000 NM offshore delivery from Portugal to the UK. 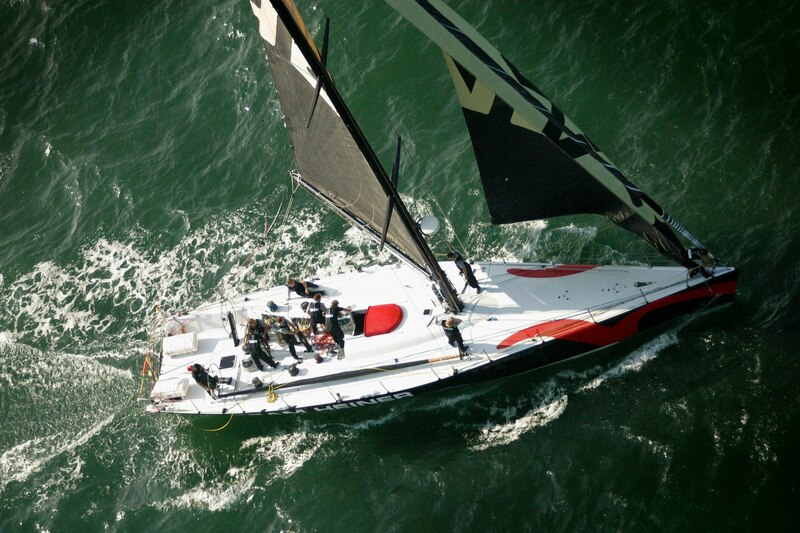 For more updates, you can also follow the MBA Fastnet Challenge 2013 Facebook page! Click on the image below for an even larger version of the image. First Two Sponsors Come On Board for MBA Fastnet Challenge 2013! I really like this image, could you tell me where it came from? I would like to know the photographer to contact regarding getting a print etc.